compiled by local destination specialists. Indoor and Outdoor - Climb a Lighthouse! 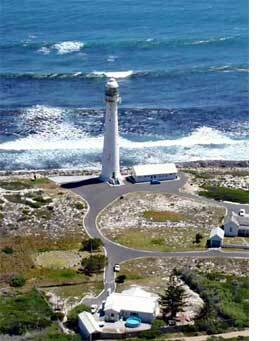 The Slangkop Point Lighthouse in Kommetjie has a long history dating back to 1914 when it was scheduled to be completed. When World War 1 broke out, the completion of the lighthouse was pushed back and it was only completed in 1919. Today, energetic visitors can take a guided tour that includes a climb up the spiral staircase inside the lighthouse that leads to the wire mesh balcony at the top. It stands 30 m (100 ft) from its base to the balcony. Visitors learn about the rich history of the lighthouses of South Africa. South Africa is one of the few countries in the world that still staffs its lighthouses. From Noordhoek, test your stamina with a hike (in a group) from the car park, along the 8km (5 mile) Noordhoek beach and through Kommejie, then take the stairs up to the Slangkop Point Lighthouse for the tour! Transport back to your parked car would need to be arranged in advance. Midway along Noordhoek beach is one of the many shipwrecks claimed by the cape coast. In May 1900 the Kakapo was on its maiden voyage from Wales to Australia, when in poor visibility the captain mistook Chapmans Peak for Cape Point. The shipwreck was part of the movie backdrop for the 1960’s Ryan's Daughter. Tip: When visiting Kommetjie for the Slangkop Lighthouse tour, take time out to visit Imhoff Farm for a variety of family activities, including horseback rides on incredible Noordhoek beach. This provides an alternative opportunity to experience this vast stretch of surf and sand. Where few other people share the beach, especially along the remote stretches of this long beach, tourists and hikers are at risk of robbery. Visitors to the beach are advised by local authorities to walk in groups of 4 or more adults and not to carry valuables. May through September: In the winter months, Slangkop Lighthouse is open to the public from Monday to Friday, 10am to 3pm. October to April: In Spring and Summer, the lighthouse is open on weekends as well. Although fully automated it is one of the few lighthouses in the world that is still manned by a lighthouse keeper or officer. IMPORTANT: All information provided in this website is for research purposes only. No warranty, explicit or implied, is given in respect to the accuracy or completeness of this information by FindTripInfo.com or content contributors. This website contains links to other websites solely as a convenience to you. The presence of such a link does not imply a responsibility for (or endorsement of) the linked site, its operator, or its contents. Copyright © 2010 - 2014 FindTripInfo.com and content providers. All Rights Reserved.